Here is the trailer for the lovely film - The White Crow, which we had the privilege of contributing to. Based on the incredible true story of Rudolf Nureyev - this is one not to be missed! In cinemas 22nd March 2019. BBC have just released their teaser trailer to help you find your next TV obsession this year! We were called on to do visual effects for The War Of The Worlds, stay tuned to find out more! Some lovely feedback we received from the legendary Stephen Merchant. What a nice guy! A quick note to thank you for working so quickly and tirelessly on my movie, and for doing such a great job. The shots slot in beautifully and without them I’d have been frustrated by those imperfections every time I watch the film. The artists at Pixie were asked last minute to add some finishing touches to this film within a short deadline. We were happy to help Tom Harper complete his vision of this very special film. All were happy and the film looks beautiful, we are looking forward to seeing Wild Rose on the big screen in May 2019! Laurel & Hardy, one of the world's great comedy teams, set out on a variety hall tour of Britain in 1953. We loved this film, watching it put a lump in our throat! a really sweet story and we equally loved working alongside the fabulous production team - what more could you want! A must see! The artists at Pixie completed a total of 81 visual effect shots on The Festival within 5 weeks. Our work consisted of blue screen keying, compositing, screen inserts, various digital enhancements, story telling FX and clean ups. The Festival was a really fun film to be involved in and the production team driving it were awesome! The BAFTA Award winning creators of THE INBETWEENERS invite you to the mother of all music festivals this summer. When Nick's girlfriend dumps him at graduation, he has a colossal meltdown in front of the entire university. He's convinced his life is over, but his best friend Shane has the perfect solution: three days at an epic music festival. With the help of "festival aficionado" and certified oddball Amy, Shane tries to get Nick to embrace the music, the mayhem and the mud. Premiered February 25th on Starz. An epic story of love and war, intrigue, and betrayal. When Helen and Paris fall in love, they trigger a chain of events that threatens their families and the city of Troy. Year Million brings to life the ideas and innovations that will power our evolution throughout the universe. Each episode will follow the story of a family as they navigate through the future, one invention at a time. More gore, more guts, and more groovy. It's everything you've been waiting for. This 10-episode half-hour series, is the long-awaited follow-up to the classic horror film, The Evil Dead. A biographical drama film based on Susannah Cahalan's memoir Brain on Fire: My Month of Madness. The film follows the New York Post writer who begins to suffer a mysterious illness. The film was released on Netflix on June 22, 2018. The artists at Pixie completed a total of 128 visual effect shots on Swallows and Amzons within 2 months. 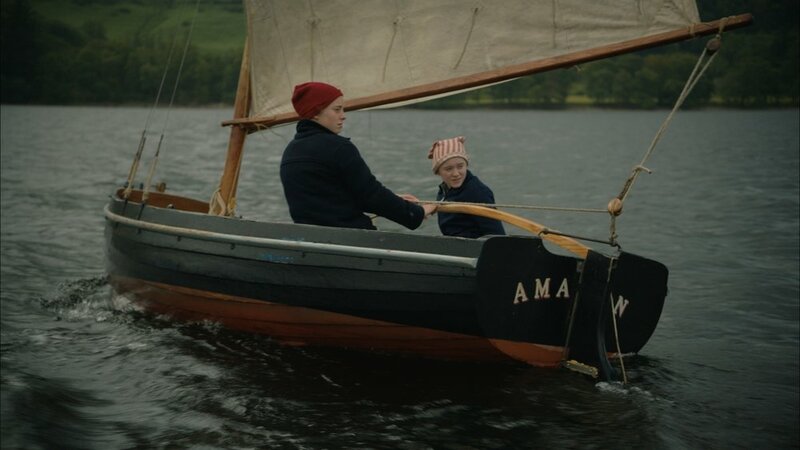 As this film was base in the English Lake District in 1929 a lot of our work consisted of modern day clean up as well as digital enhancements and rig removals. This was one of the most enjoyable films we have worked on with its lovely footage, sweet story line and fantastic production! An exhilarating new adaptation of Arthur Ransome's treasured classic. A story of daring adventure and exploration as a group of children set off on an adventure of a life-time. "Evil is always waiting in the shadows." See what's waiting for you in the STARZ Original Series Ash vs Evil Dead. Watch all episodes now on STARZ Play or On Demand. Brandspank was chosen to create the official IRB opening sequence to the world feed of this years Rugby World Cup. This version was specifically modified to integrate ANZ who are the sponsors of the New Zealand broadcast of RWC2015. Pixie VFX helped Brandspank composite their ideas together. Colonial India, 1913. Srinivasa Ramanujan (Dev Patel) is a 25-year-old shipping clerk and self-taught genius, who failed out of college due to his near-obsessive, solitary study of mathematics. Eagerly awaiting their first child, a young couple in a tiny London suburb become involved in a psychological battle of wills with the tenants in the apartment downstairs. Every second counts in this ground-breaking medical drama. Critical will be one story, in one place, in one hour - a real-time medical and emotional roller-coaster ride in which every second counts during the most life-threatening hour of a patient's treatment. A British-French romantic comedy film following a single 34-year-old woman (Bell), who after being mistaken for a stranger's blind date, finds the perfect boyfriend in a 40-year-old divorcé (Pegg). The film was released on 29 May 2015 by StudioCanal. Beneath Bruce Garrett's shabby, overweight exterior, the passionate beating heart of a salsa king lays dormant. Only one woman can reignite his Latin fire. Spotlight hits, sweat drips, heels click - Nick Frost IS Cuban Fury! From the team that brought you Shaun Of The Dead, Hot Fuzz and Paul, Cuban Fury is the hilarious, feel-good and must-see comedy this Valentine's Day. The film follows a group of friends who discover an alien invasion during an epic pub crawl in their home town. Set in London in 1909, Harry Selfridge opened the doors of his lavish department store, on London's famous Oxford Street. Les Misérables is a 2012 musical drama film based on the 1862 French novel of the same name by Victor Hugo, which also inspired a 1980 musical by Boublil and Schönberg. The film is a British and American venture distributed by Universal Pictures. The film takes place in France during the early 19th century and tells the story of Jean Valjean who, while being hunted for decades by the ruthless policeman Javert after breaking parole, agrees to care for a factory worker's daughter. The story reaches resolution against the background of the June Rebellion.